The number of new entity filings coupled with a historically low unemployment rate indicates Tennessee has a healthy economy, according to a report released by the Secretary of State's office. There were 9,524 new entity filings in the second quarter of 2017, representing a 6.8 percent increase compared to the same time last year. Initial filings have had positive year-over-year growth for 23 consecutive quarters. 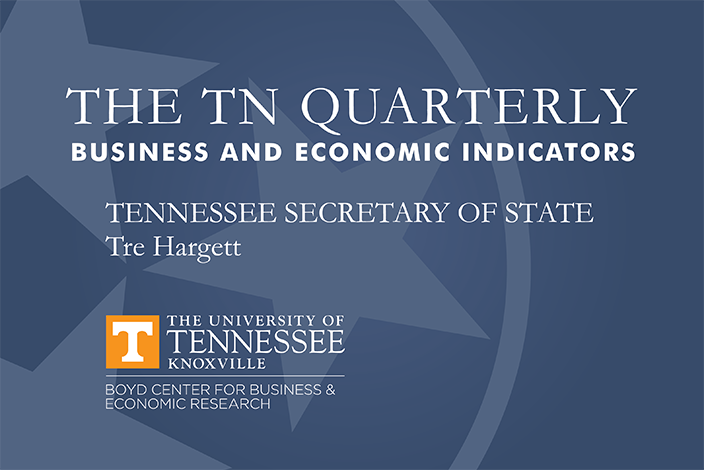 As of July 1, there were 267,143 active entities in Tennessee, representing a 3 percent increase compared to the first quarter of the year. “Our state’s economy is thriving thanks to the leadership of Governor Haslam and the members of the Tennessee General Assembly. This data is a clear indication of the vibrant business environment found in Tennessee,” said Tennessee Secretary of State Tre Hargett. New filings from foreign entities saw the largest growth, increasing by 10 percent compared to the second quarter of 2016. Despite the positive numbers, the second quarter numbers shrunk compared for the first quarter of 2017 largely because of seasonal variation. Second quarter numbers have consistently been smaller than first quarter numbers since 2003. Davidson County again led the way with the most initial filings among the state’s four largest counties with 2,255. Shelby County followed with 1,798. Knox and Hamilton counties saw 819 and 694 filings respectively. The four counties account for 5,566 new entity filings during the second quarter, which is a 12.4 percent increase compared to the same time in 2016. The state’s unemployment rate fell to 3.6 percent, which is a dramatic 22 percent drop compared to June 2016. It’s the lowest monthly unemployment rate recorded in the Bureau of Labor Statistics (BLS) database, which dates back to 1976. Tennessee’s unemployment rate is now 0.7 percentage points lower than the current national average. The national economy saw steady growth of 2.6 percent in the second quarter compared to 2017’s sluggish start. Personal income grew by 3 percent despite drops in housing and auto sales.